ModuleWorks, the leading supplier of CAD/CAM software components for machining and simulation, announces an agreement with Siemens PLM Software in the area of advanced CAM technology. 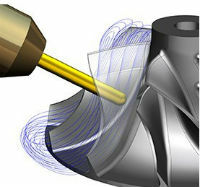 ModuleWorks is providing and further developing advanced CAM programming technology to be integrated into the Siemens’ NX™ software, a leading integrated solution for computer-aided design, manufacturing and engineering (CAD/CAM/CAE). The close working arrangement with Siemens PLM Software covers topics that range from core CAM processing, general 3x and 5x milling to focused complex applications. 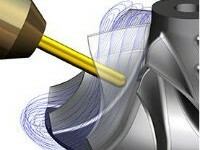 ModuleWorks is a software component provider for the CAD/CAM industry. ModuleWorks’ expertise in toolpath creation and simulation is recognized throughout the CAM industry and its software components and development services are used by the majority of the leading CAM vendors for sophisticated industry focused solutions across diverse business sectors.